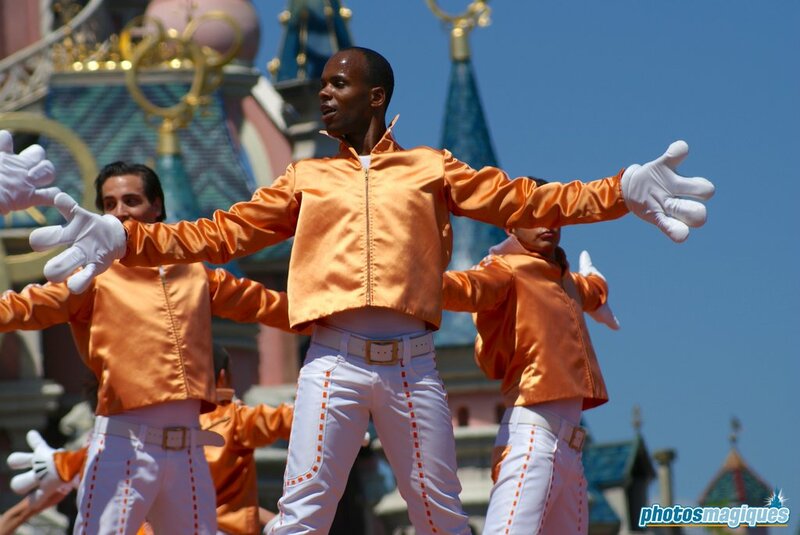 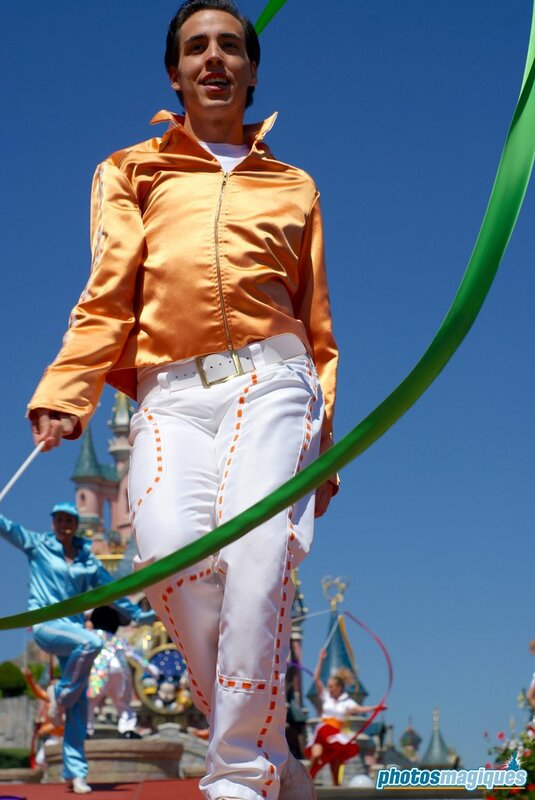 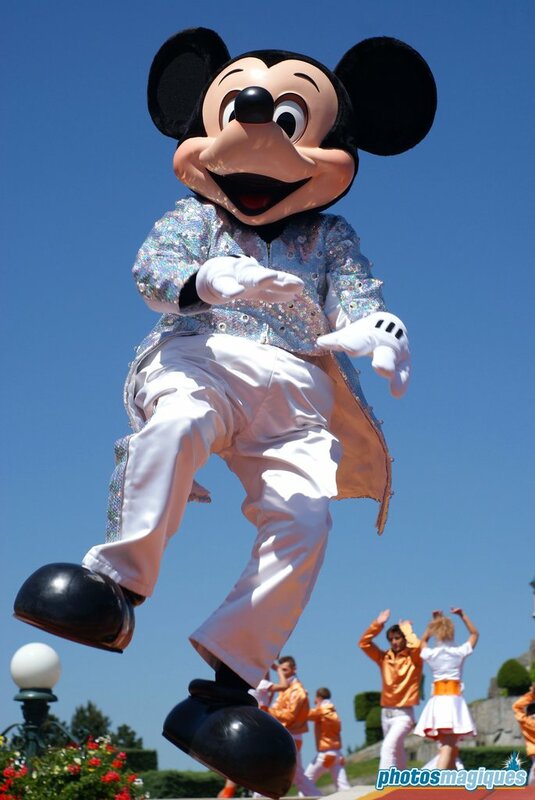 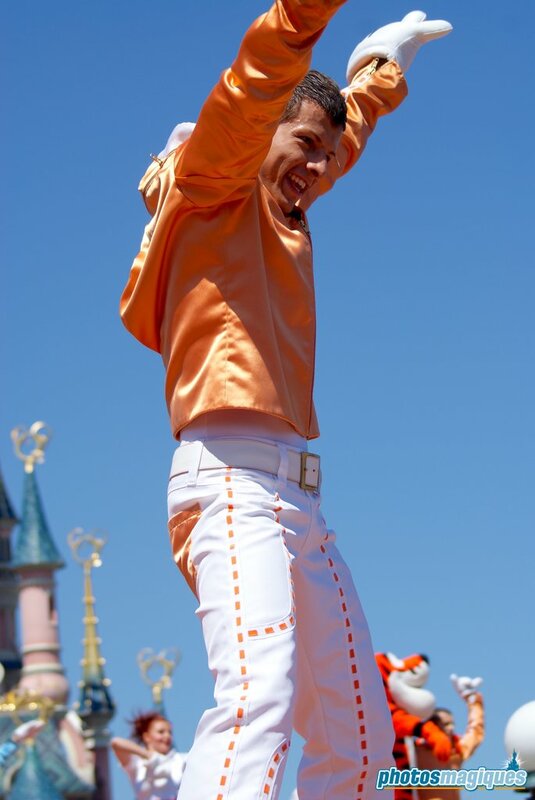 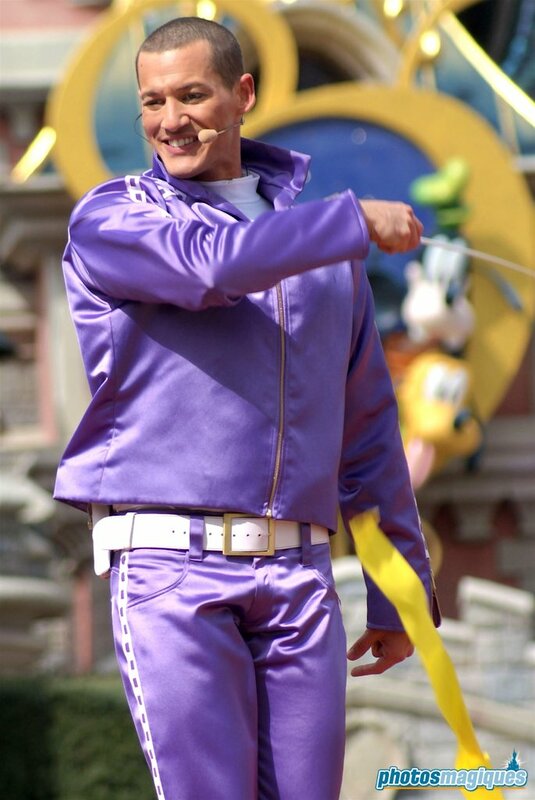 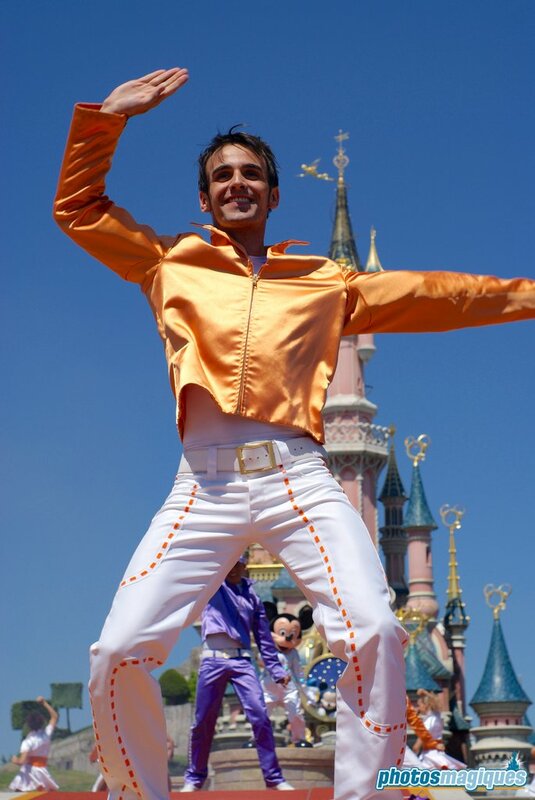 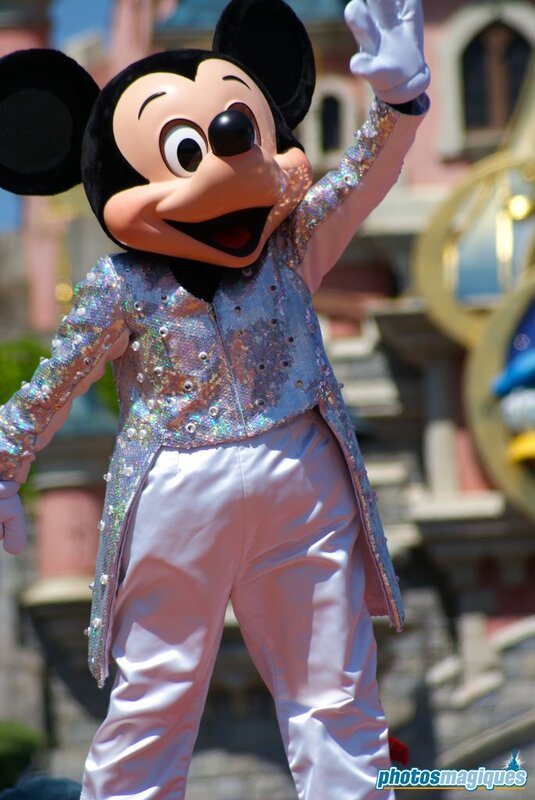 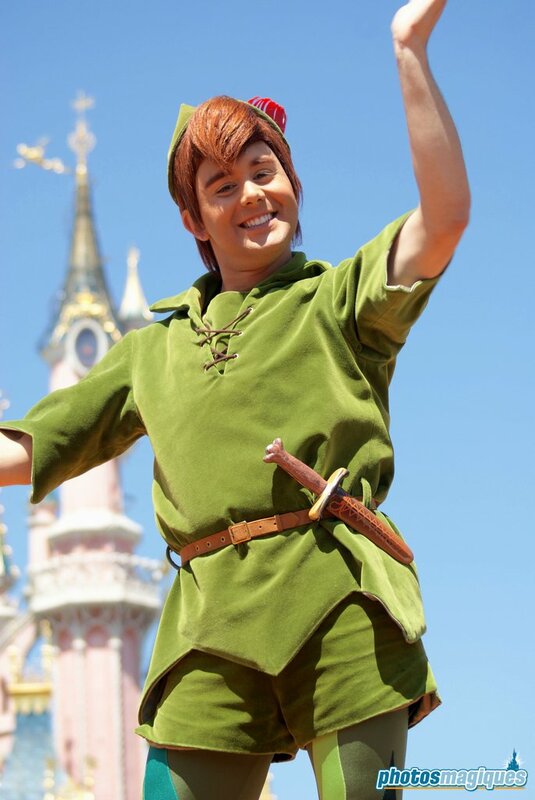 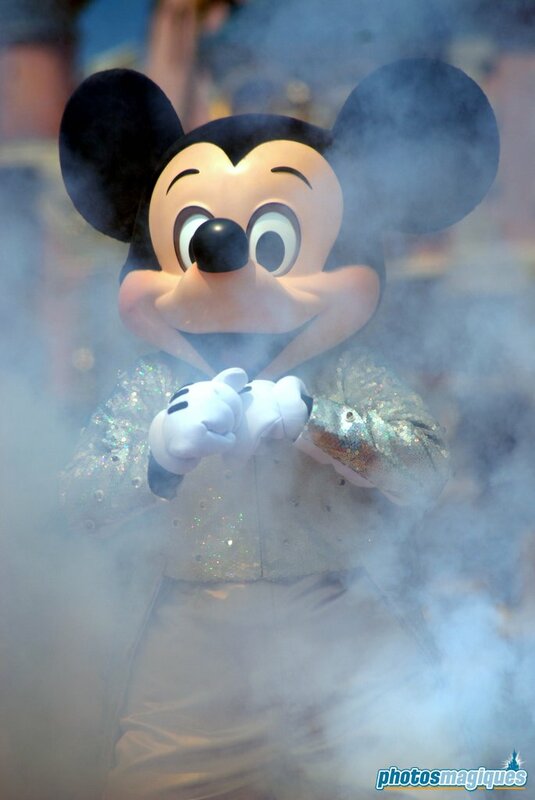 It’s Party Time… with Mickey and Friends was the headliner of the Mickey’s Magical Party in 2009. 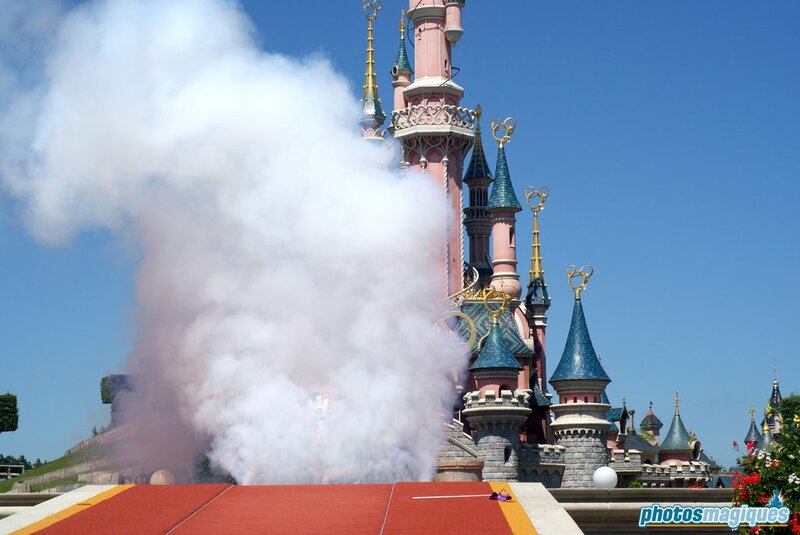 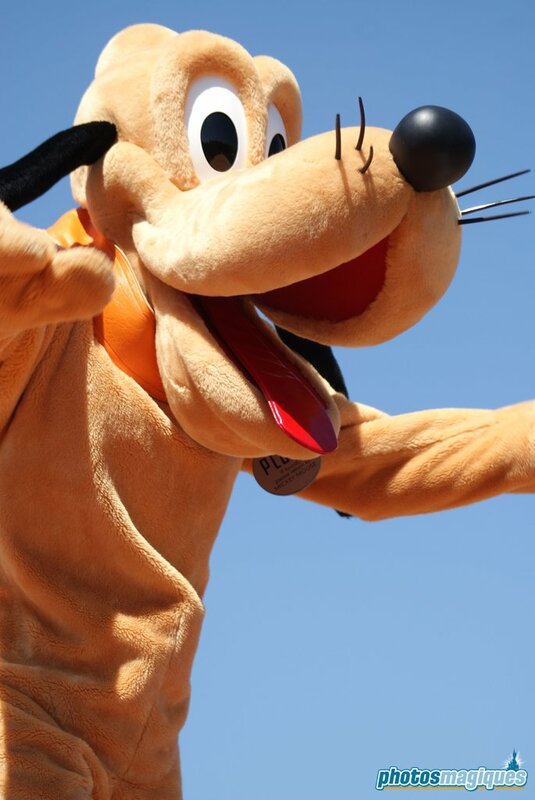 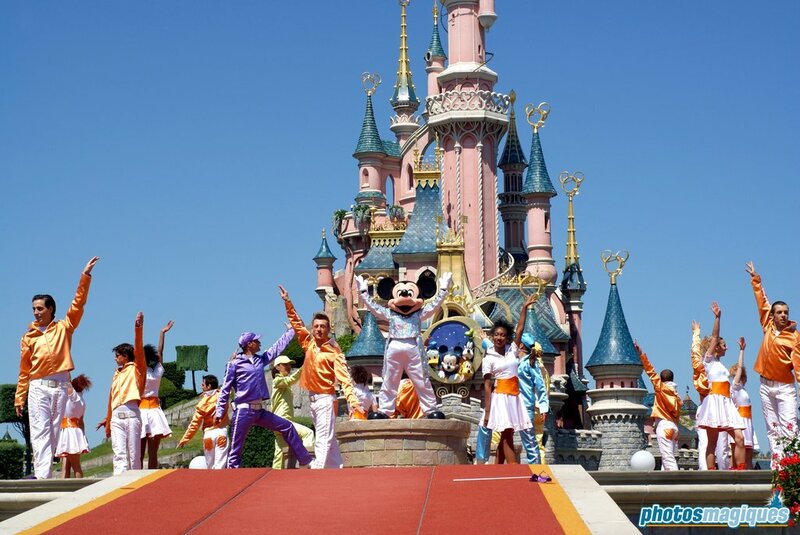 Instead of investing in attractions or expansion, Disneyland Paris decided to invest heavily in themed “years”, similar to what Tokyo Disney Resort had been doing for years. 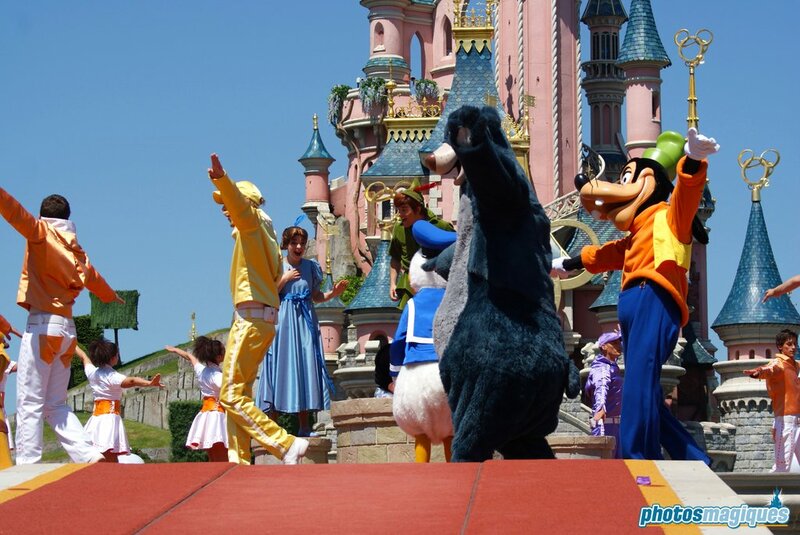 For the occasion, a new stage was build on Central Plaza with four connecting satellite stages on either side. 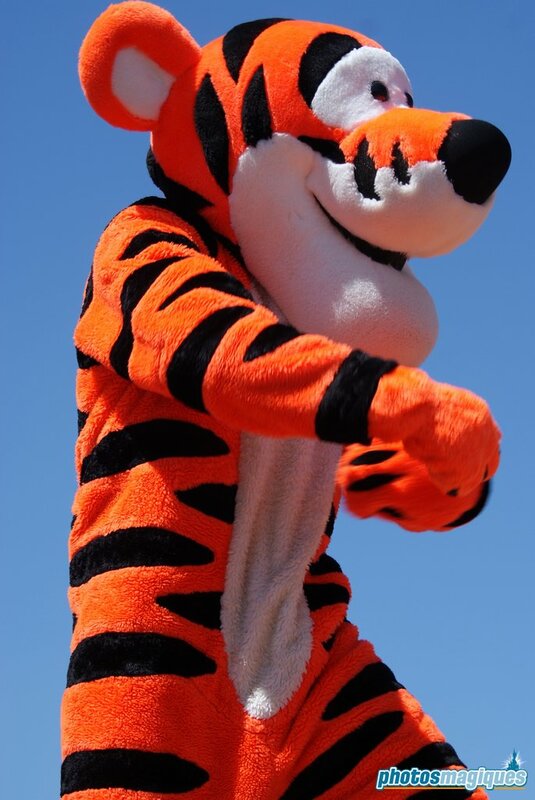 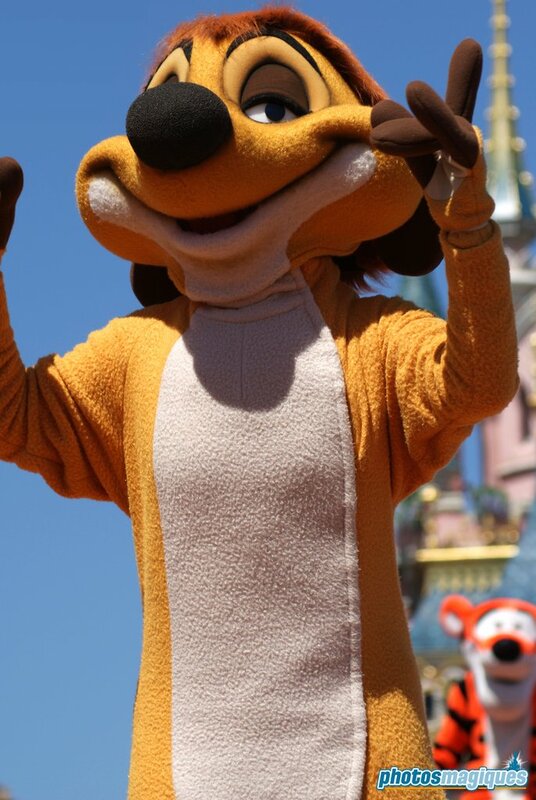 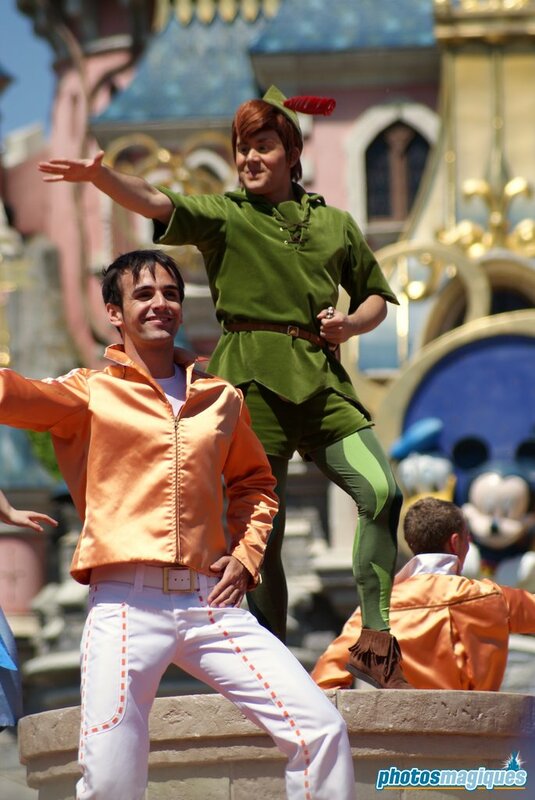 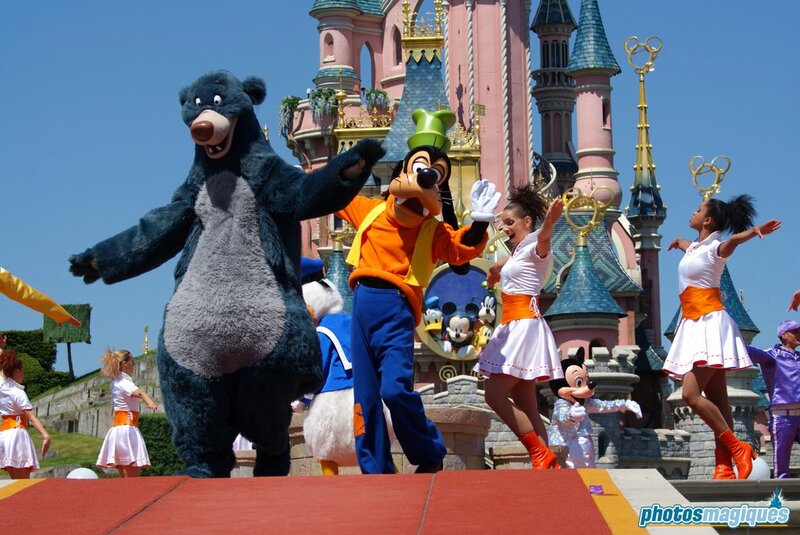 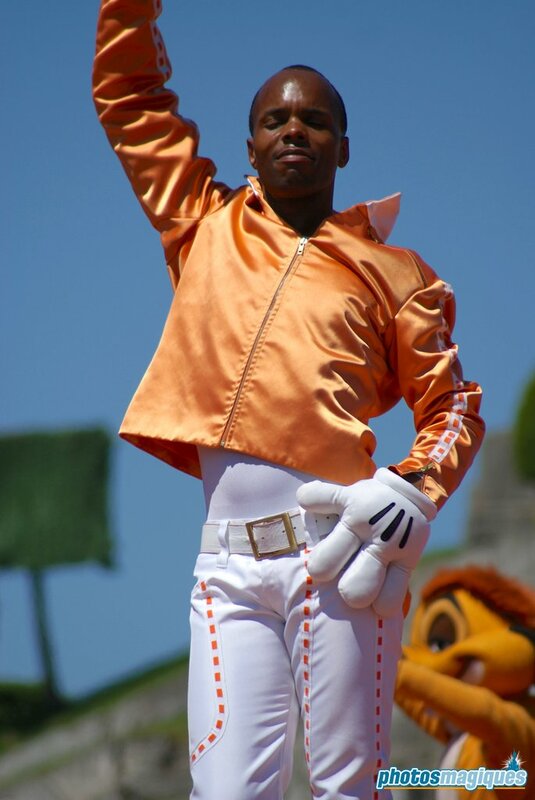 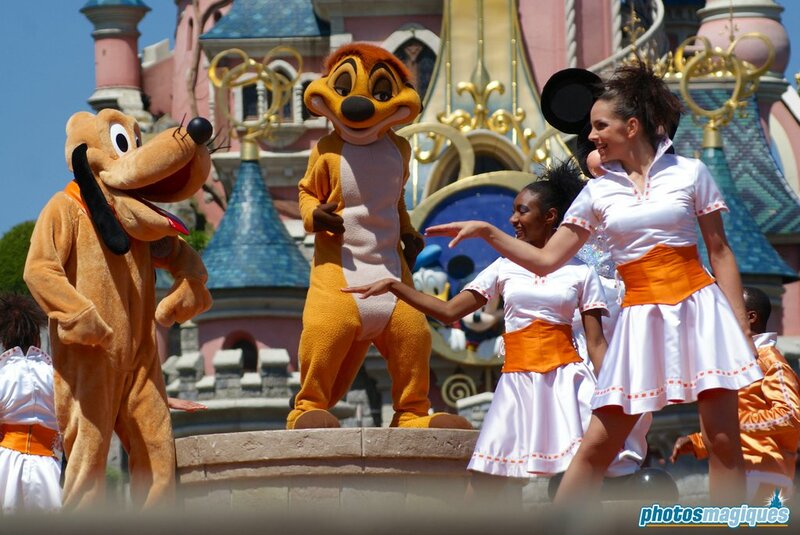 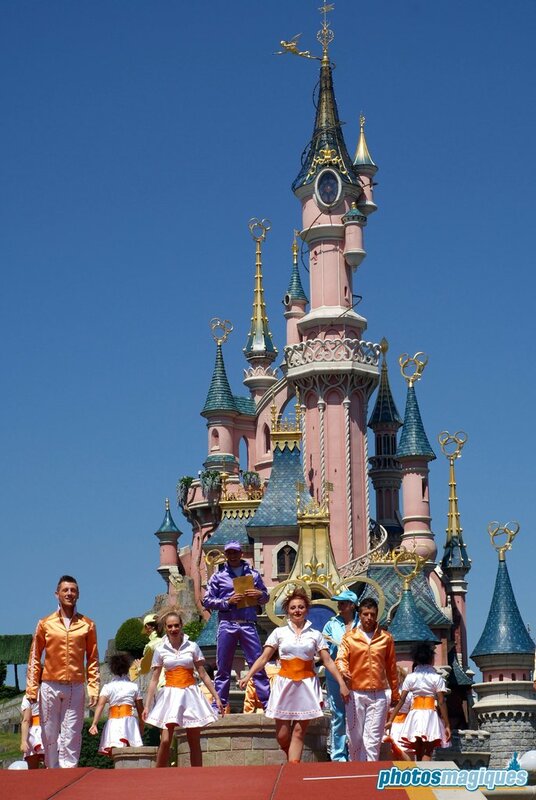 The show featured characters Mickey Mouse, Baloo, Peter Pan, Tigger and Timon along with a group of dancers and two MC’s. 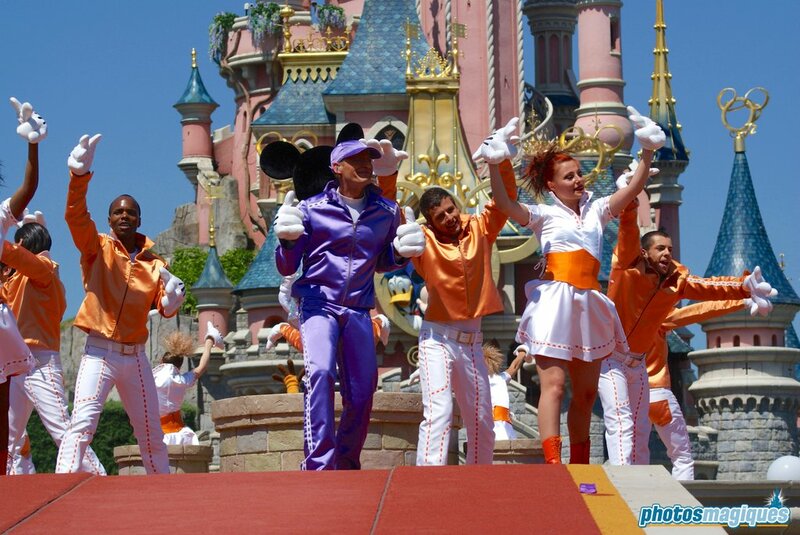 Guests were encouraged to learn simple dances on the beats of modern versions of classic Disney songs. 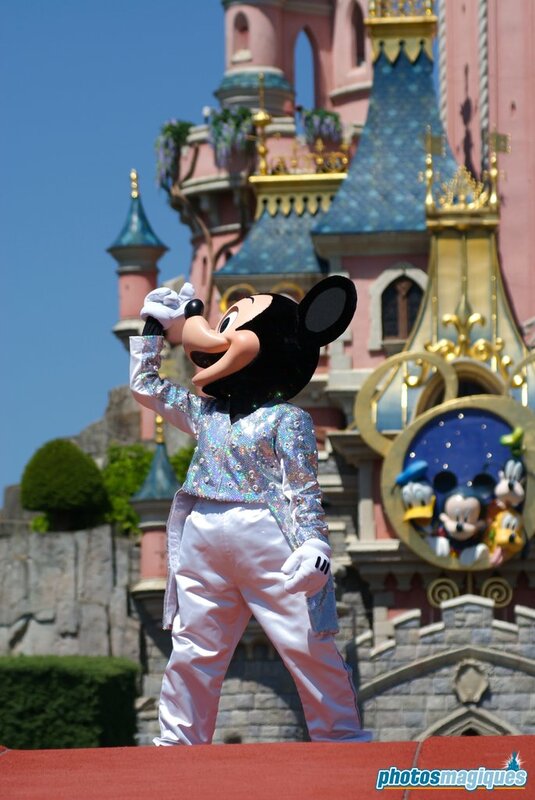 Playlist: Mickey’s Magical Party, Following the Leader, The Bare Necessities, Tigger Medley, Hakuna Matata, Peter Pan medley, Mickey’s Magical Party Final. 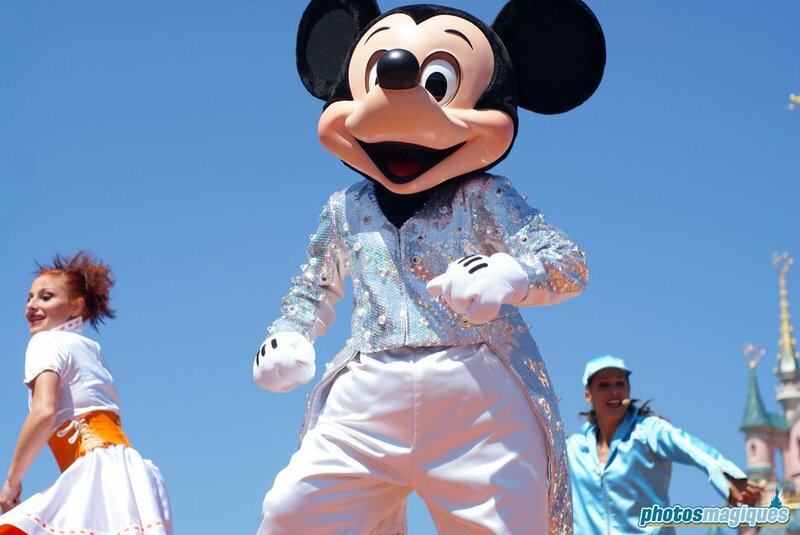 Mickey’s costume featured flashing LED lights.